Automating the many processes surrounding human resource management enables you and your staff to become more efficient and effective and focus on your organization’s core competencies. Whether your needs are to reduce the manual workload, empower your managers and employees through self service options, or more effectively manage your human capital, RHR’s suite of HR services can help. Manage salaries and pay grades. Manage government reporting and compliance. 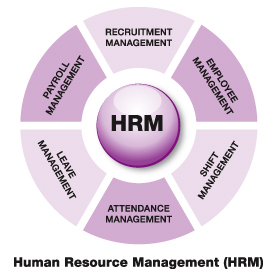 Integrate with RHR's payroll services, time & attendance, and talent management solutions. Enable employees to review their HR services, payroll check and benefits administration records. Allow employees to update personal information. Build awareness with online employee communications. Empower managers to access information to conduct online performance reviews. Background Screening and Pre-Employment Services assist with; sourcing, attracting, developing and employee retention lifecycle. Reduce your company’s exposure to potentially incompatible hires. Position your company for growth through strategic hiring practices. Transform how HR services are delivered within your company . Shed the transactional, repetitive and low-value-added tasks of HR services. Concentrate on aligning Human Resource Management with the strategic goals of your company .